February 28, 2016, Berklee Performance Center, Boston Massachusetts. Presented by The Berklee College of Music. 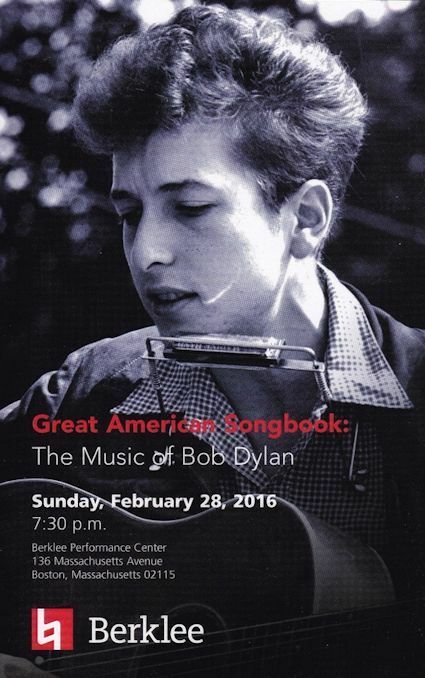 Performances by Al Kooper, students, and faculty of Berklee. Stapled booklet measuring 5-1/2" x 8-1/2", 12 pages; photos of Dylan and Al Kooper with very short bios, list of fifteen Dylan songs performed.